Clemens von Metternich: The man who outwitted Napoleon? 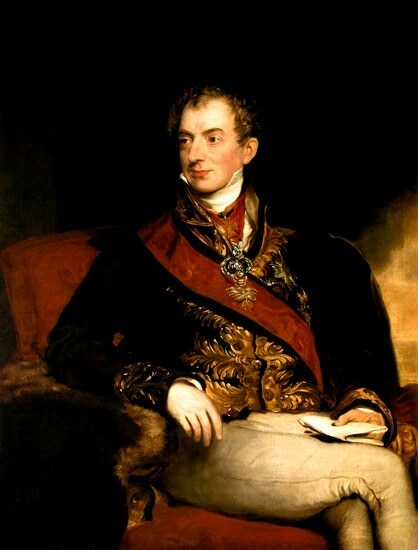 As Austrian foreign minister from 1809 to 1848, Clemens von Metternich was a major player in European affairs for twice as long as Napoleon Bonaparte. A closet admirer of the French Emperor, he was concerned to show himself as the man who had outwitted him. Clemens (or Klemens) von Metternich was born in Coblenz on May 15, 1773. He came from an old aristocratic family whose members had held many high offices in the Holy Roman Empire. After studying philosophy, law and diplomacy, he followed his father into a diplomatic career. Metternich was appointed Austrian ambassador to France in 1806, after Austria’s humiliating defeat at the Battle of Austerlitz and considerable loss of territory in the Treaty of Pressburg. Metternich saw Napoleon frequently. He wrote in detail about these encounters in his memoirs. In Metternich’s view, France needed discipline and Napoleon was the man to provide it. When war resumed between France and Austria in early 1809, Metternich was arrested and briefly confined as a reprisal for the Austrian detention of two French diplomats. Napoleon defeated Austria at the Battle of Wagram (July 1809). He took more territory and money from her in the Treaty of Schönbrunn. It was while Napoleon was at Schönbrunn Palace to negotiate the treaty that a 17-year-old German patriot named Friedrich Staps was caught planning to assassinate him with a kitchen knife – an encounter to which Napoleon refers in Napoleon in America. Staps was arrested and executed. In October 1809 Clemens von Metternich became Austria’s foreign minister. His goal was to keep Austria afloat until Napoleon could be thwarted. Metternich attempted to erode Napoleon’s power. He arranged the marriage of Napoleon to Marie Louise, the daughter of Austrian Emperor Francis I. Though Metternich credits the French with initiating the marriage, the French chargé d’affaires in Vienna said it was Metternich who first raised the prospect. Metternich successfully duped Napoleon into thinking that Austria supported France’s 1812 invasion of Russia. Meanwhile, Austria secretly encouraged a Russian victory (you can read the details of Metternich’s machinations on the Age of the Sage website). After the French retreat, Metternich dropped the cover of neutrality. He led Austria into outright alliance with the coalition against Napoleon. In a famous encounter described on the Past Now website, Metternich and Napoleon met for the last time on June 26, 1813 in Dresden. According to Metternich, he told Napoleon that he was finished. With Austria on their side, Russia, Prussia and Britain were able to overthrow Napoleon in 1814. As a reward for his success, Francis I made Metternich a hereditary Prince of the Austrian Empire. Metternich would have liked to see France governed by a regency under Marie Louise, but the Bourbon restoration proposed by Russia, England and the French diplomat Talleyrand won the day. The victors gathered at the Congress of Vienna, where Clemens von Metternich exercised considerable influence on the proceedings. The Congress was interrupted by Napoleon’s escape from Elba and his subsequent defeat at the Battle of Waterloo. Metternich believed Europe’s stability depended on a balance of power among the great powers. His aim (and that of Francis 1 – the two operated in tandem) was to preserve Austria’s internal peace and external power. Metternich got the allies to endorse Austrian hegemony in central Europe and Italy. Metternich established a system of periodic Congresses, in which the great powers could meet to consider how to suppress revolution. The 1822 Congress of Verona appears as a setting in Napoleon in America. Metternich was a diplomat, not a strategist. He operated a on a day-to-day basis, rather than according to some grand scheme. Underlying all of his negotiations was a belief in the virtue of balance between governments, and between classes within society. In 1821, Clemens von Metternich became the Austrian Court Chancellor and Chancellor of State (essentially the Austrian Prime Minister). He oversaw the detention of Napoleon’s son, the Duke of Reichstadt. He is said to have forbidden the Duke’s wintering in Naples, which could possibly have cured the young man’s fatal tuberculosis. Although Metternich’s system was tested by revolutions in 1830-31, he remained the arbiter of continental European politics until March of 1848, when he was compelled to resign owing to a revolution in Vienna. Metternich and his family went into exile. They visited England, where the Duke of Wellington tried to keep Metternich entertained. They then moved to Brussels. In 1851, Clemens von Metternich was allowed to return to Vienna. He died there on June 11, 1859 at the age of 86. Metternich was very fond of his many children, who reciprocated his affection. He was no stranger to tragedy, losing two of his daughters to tuberculosis in the space of three months in 1820. His first wife and eldest son also died from the disease. Clemens von Metternich wrote voluminously. His memoirs were edited and published by his son Richard, who served as Austrian ambassador to the court of Napoleon III. They contain considerable self-justification. In the end, Metternich wanted to be seen as the man who masterminded Napoleon’s downfall. Richard Metternich, ed., Memoirs of Prince Metternich, 1773-1815, Volume 1 (New York, 1881), p. 46. Richard Metternich, ed., Memoirs of Prince Metternich, 1773-1815, Volume 4 (London, 1880), p. 6. He wrote this in 1823, upon reading the Count de Las Cases’s admiring memoirs of Napoleon. G.A.C. Sandeman, Metternich (New York, 1911), p. 45. George Bruce Malleson, Life of Prince Metternich (Philadelphia, 1888), p. 63. M.G. Pallain, ed., The Correspondence of Prince Talleyrand and King Louis XVIII During the Congress of Vienna, Volume 1 (London, 1881), p. xvi. Alan Palmer, Metternich (London, 1972), p. 192. Tom Holmberg, Review of Metternich: the Autobiography, 1773-1815, on the Napoleon Series website, April 2005, http://www.napoleon-series.org/reviews/biographies/c_metternich.html, accessed January 19, 2014. Clemens von Metternich, The Autobiography, 1773-1815 (Welwyn Garden City, 2004), p. 67. Being that I am in Metternich’s blood line I may be a bit biased, but it almost; after reading some of your stuff, that you are a bit taken with Napoleon! Almost as if you are charmed by him. But still a great read, and I thank you for the consideration of Clemens von Metternich; however Metternich was very captivated and in the end; Napoleon really was charmed also; I believe! Thank you, Benjamin. I actually have mixed views about Napoleon, and I admire aspects of Metternich’s diplomacy. I think you’re right that, in some ways, both could be considered charming. Great article! I was wondering where you acquired these quotes from Metternich and what these sources may be. Thanks, Federick. Glad you enjoyed the article. The quotes come from the sources listed in the footnotes. Clemens von Metternich’s multi-volume memoirs, edited by his son Richard, are available for free on the Internet Archive: https://archive.org/search.php?query=memoirs%20of%20prince%20metternich. Nice summary of the most famous scion of the Imperial knightly clan of Metternich. I recently read a collection of memoirs of the Congress of Vienna from various famous participants, both the powerful sovereigns and diplomats as well as the ladies accompanying them. In all there stands the striking figure of Metternich, admirably displayed by some as the man who was “everwhere at once”, and contemptuously denounced by others as the very same! A book to which I often return is called “the life of Napoleon I” which may be downloaded from google books in its entirety. It is substantive, but the most entertaining portions are those episodes featuring Metternich vs. Napoleon. As you state, the author makes it out that Napoleon has a low opinion of Metternich’s powers, and yet, he seems to adore the man’s opinions: perhaps Metternich offers some foreign validation of the Corsican’s grand schemes? And yet, it is this underestimation that ultimately undoes the Emperor of the French, absolutely convinced up to their meeting at Dresden in June 1813 of Austria’s benevolent neutrality. Certainly the author of the book gives all due credit to the prince for being “the only man ever to fool Napoleon”. Triumphant though Metternich may have been from that time on, his peacock attitude extended far beyond merely strutting about grand balls and salons — he had the concern and care of a fowl toward matters of responsibility, especially financial ones. During the Napoleonic period, Austria’s finances were in a state of chaos, naturally owing to endless wars and indemnities to France. But this horrendous condition did not abate after Napoleon was finally dispatched to St. Helena. On the contrary to every other participant in the many Coalitions, Austria alone suffered financial chaos all the way to the revolutions of 1848, when Metternich took flight, and far beyond, due to the counter-revolutionary wars, the occupations in Italy and Romania, and two disastrous conflicts with Napoleon’s nephew and name-sake as well as Prussia. Austria learnt the benefits of peace and tranquility only a full generation after Metternich took flight. But that was not his doing — in reality, he was merely behaving in the manner of his peers at the time. All in all, a very fascinating personality in a fascinating time! Thank you, Glenn. I love reading Metternich’s memoirs, and the views of him expressed by his contemporaries. Your last sentence sums it up perfectly! All this prose to say that Metternich put himself forward as a factor in the downfall of the greatest man who ever lived. The simple fact is that Russia beat Napoleon. Or perhaps his decision to quit Moscow. That is to say, perhaps Napoleon beat Napoleon. Metternich’ role is a footnote. Certainly not much more. What role did Klemens von Metternich play in the history of Europe? What effect did he have on the history of Europe? Wikipedia actually has a good article on Metternich’s full political career: https://en.wikipedia.org/wiki/Klemens_von_Metternich. I do not think it was a good inspiration of Napoleon’s which called me to functions which gave me the opportunity of appreciating his excellences, but also the possibility of discovering the faults which at last led him to ruin and freed Europe from the oppression under which it languished.